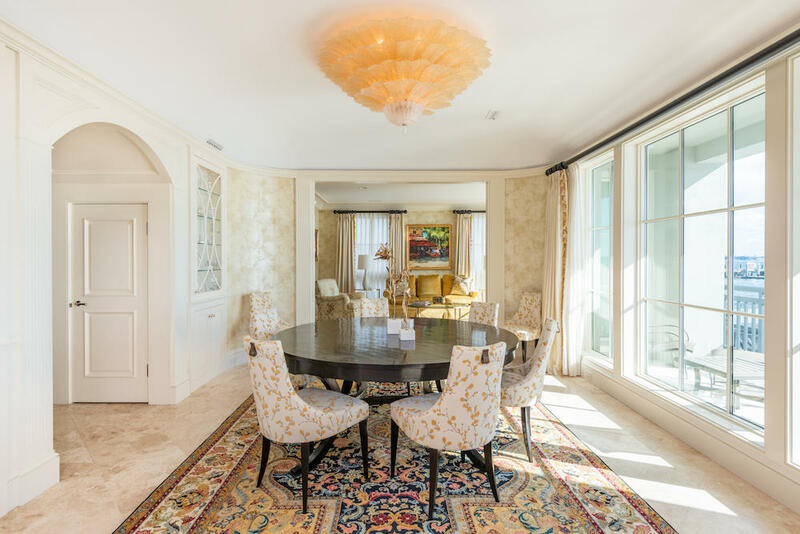 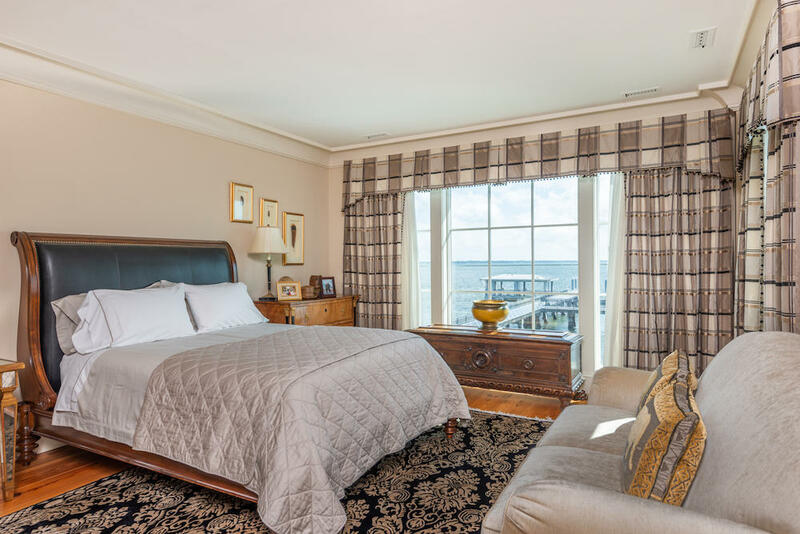 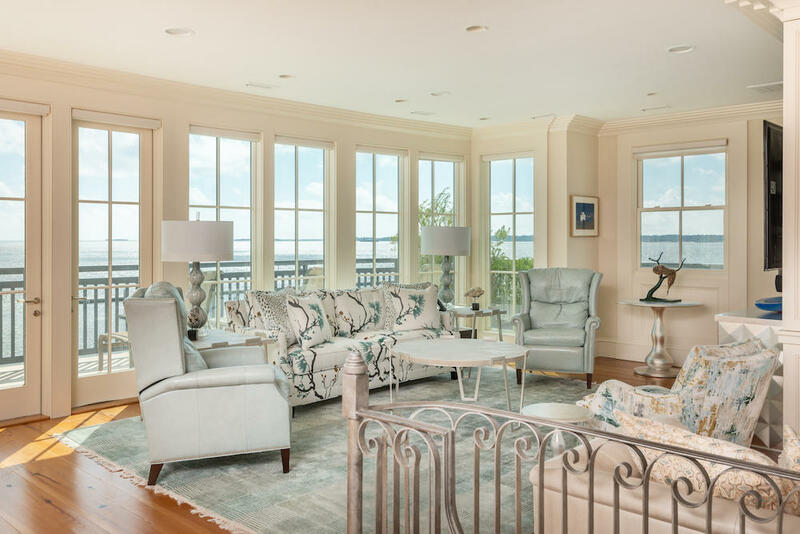 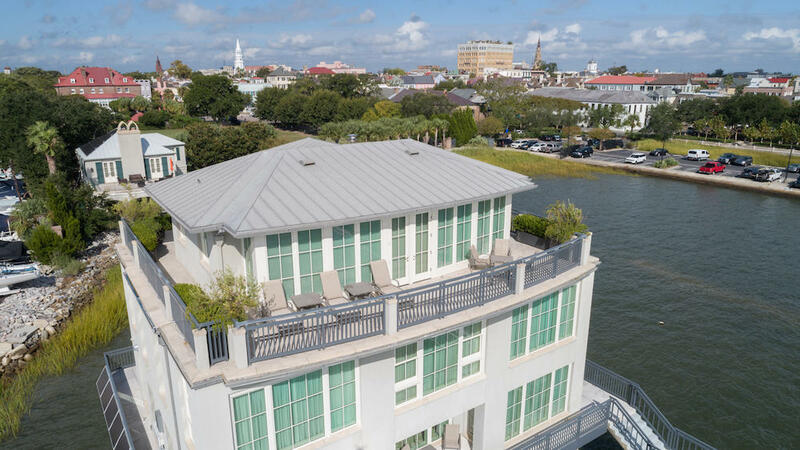 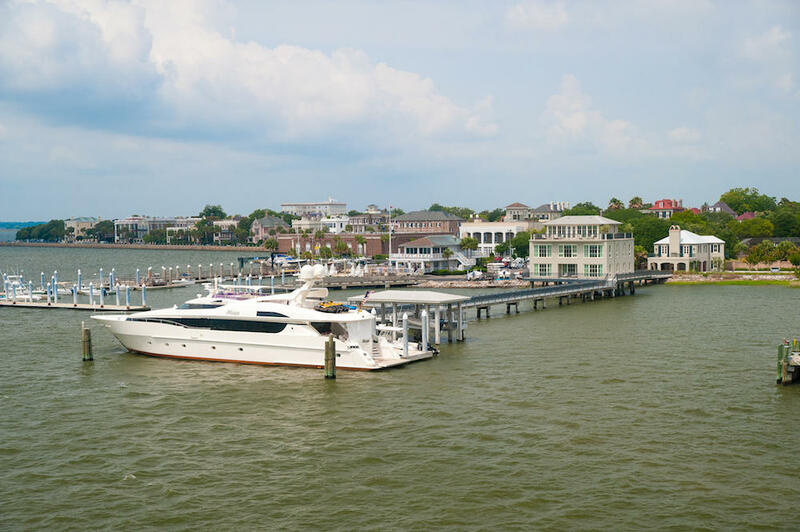 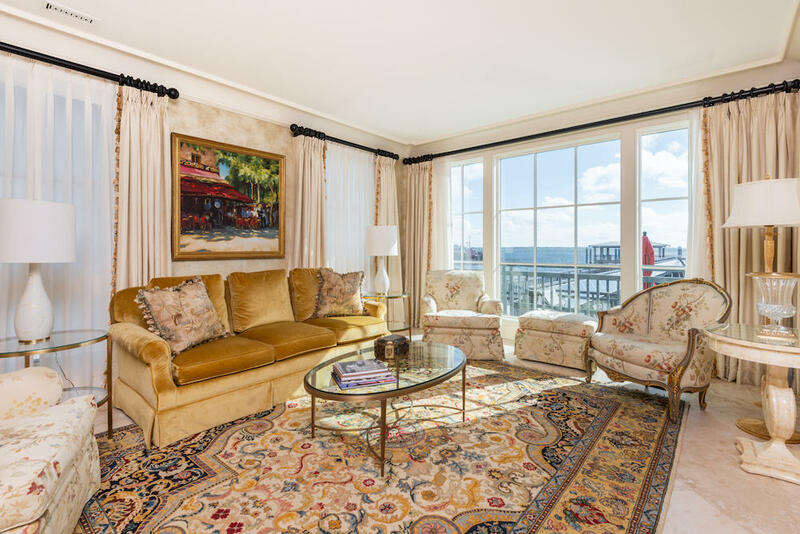 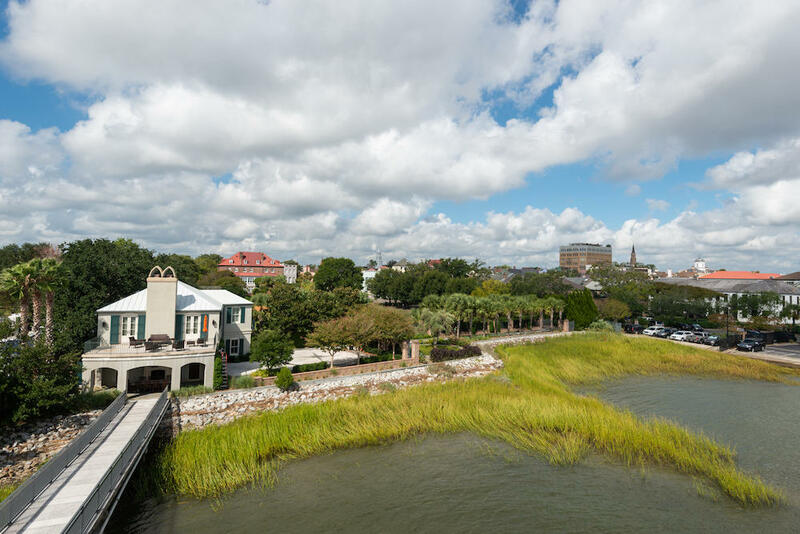 Enjoy iconic views and ultimate luxury at this one-of-a-kind property located in downtown Charleston. 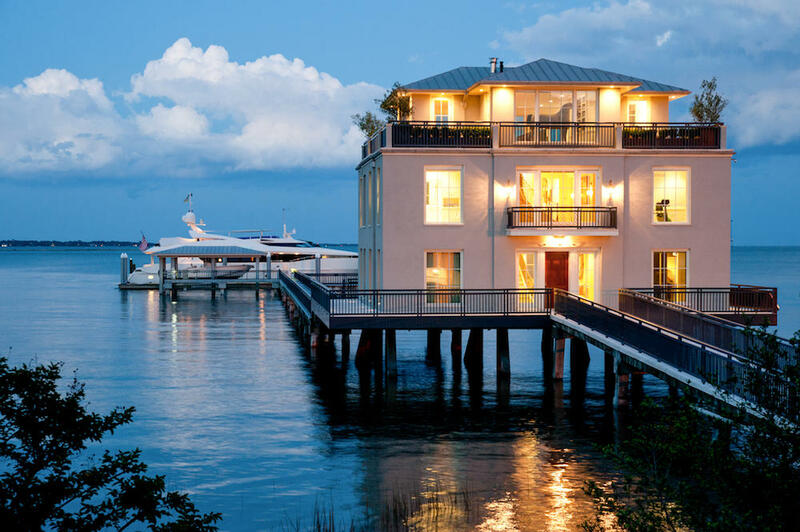 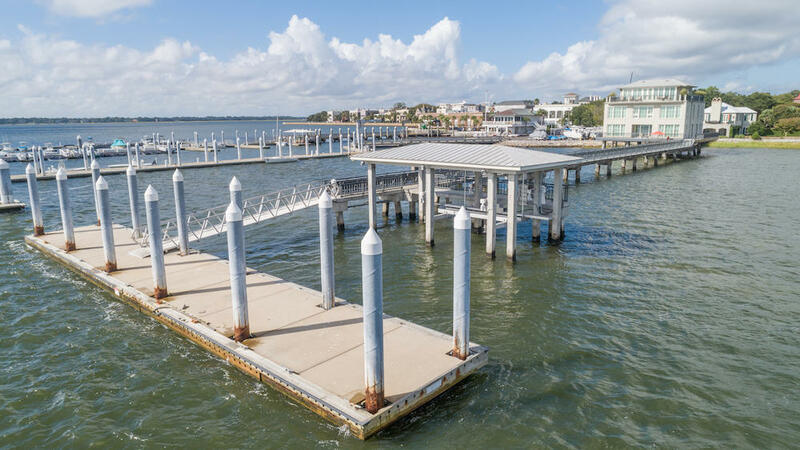 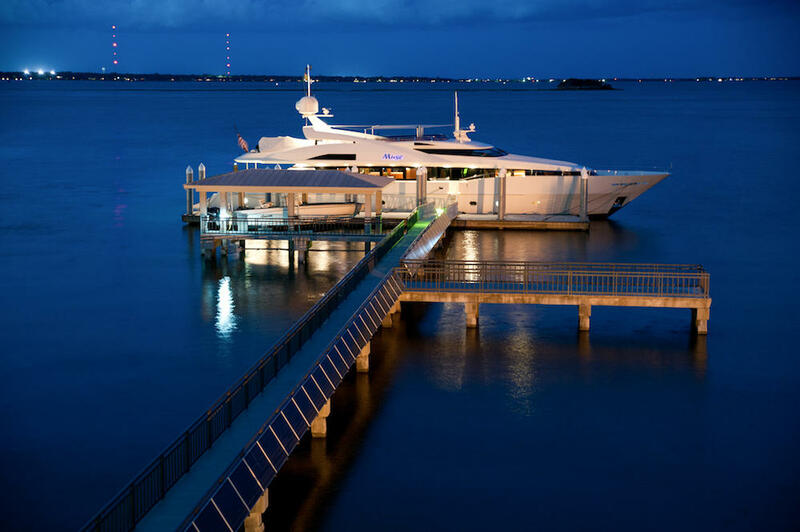 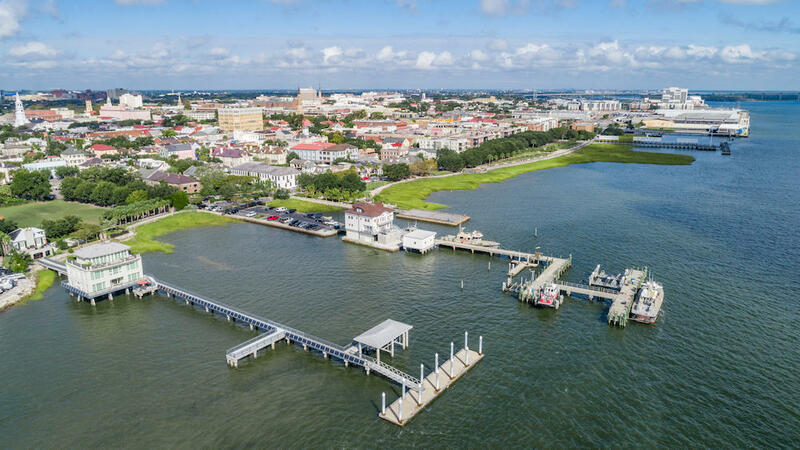 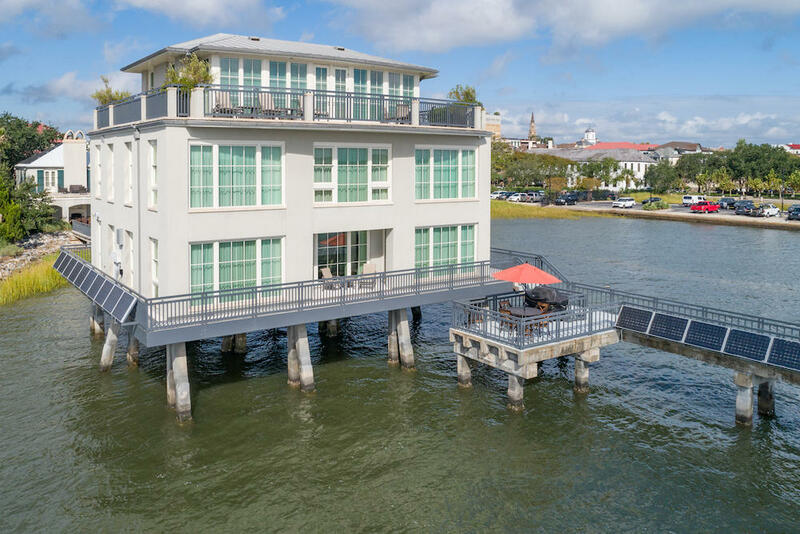 This is the only single-family residence downtown offering a 240-foot private boat dock made of fixed concrete with 100-foot floater and boat lift with 20,000 lb. 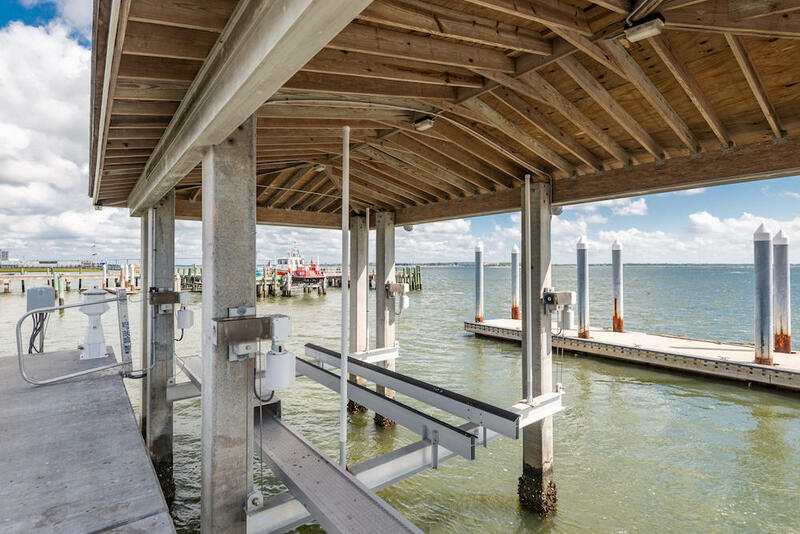 capacity, available power of 480-volt 3 phase, 100-amp, 120 single phase in the pedestal, and lighting in the boat lift. 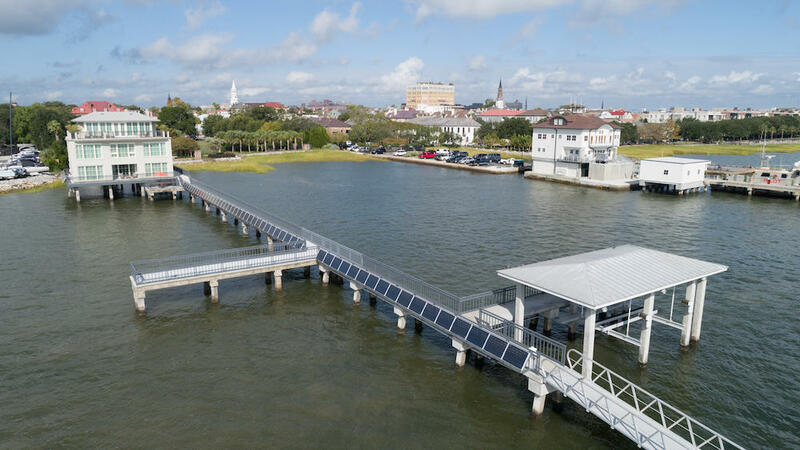 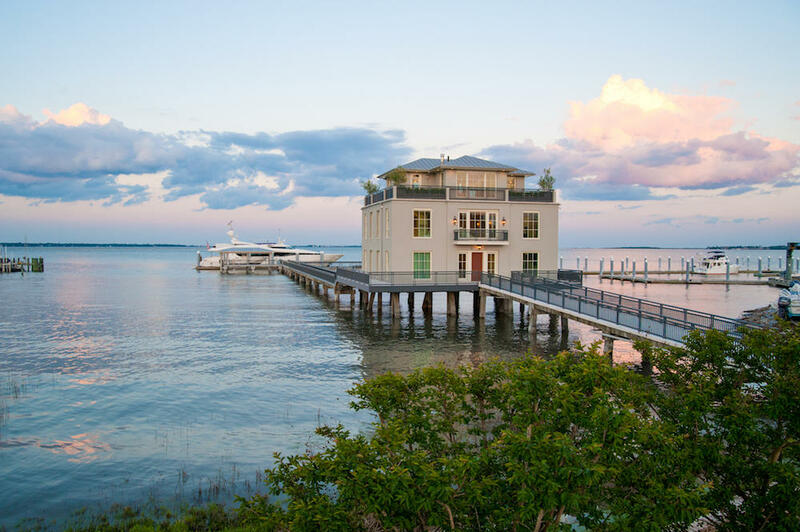 Merging history with modern amenities, the original structure was once a degaussing station for the Navy. 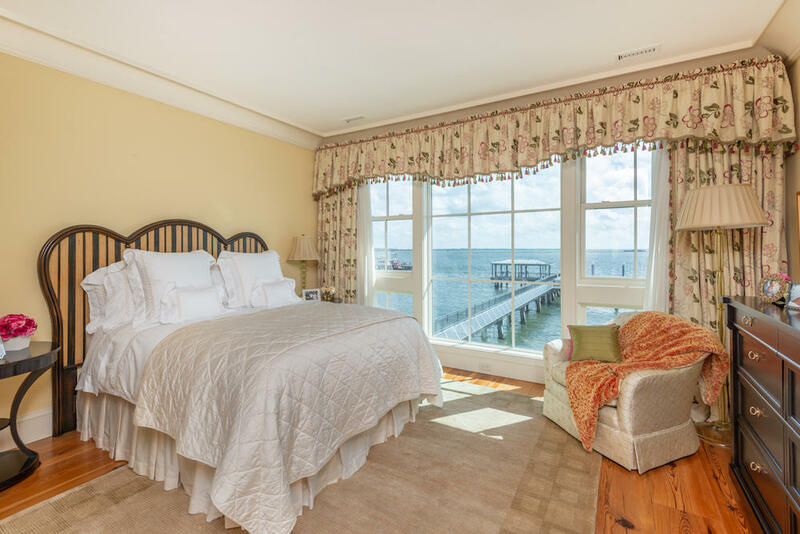 After a complete renovation in 2010, the property now offers a main house, guest house and dock. 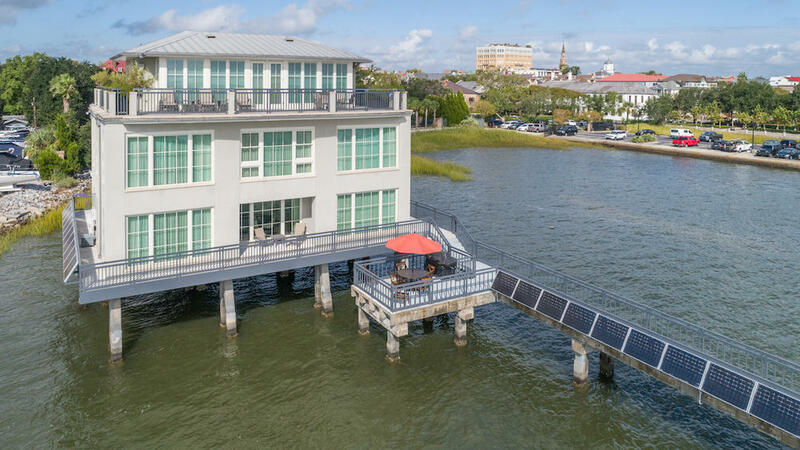 The 4,689 square foot main residence sits atop concrete pilings uniquely positioned above the water offering superb views of Charleston Harbor, Fort Sumter, The Yorktown, Ravenel Bridge and the historic Charleston Peninsula. 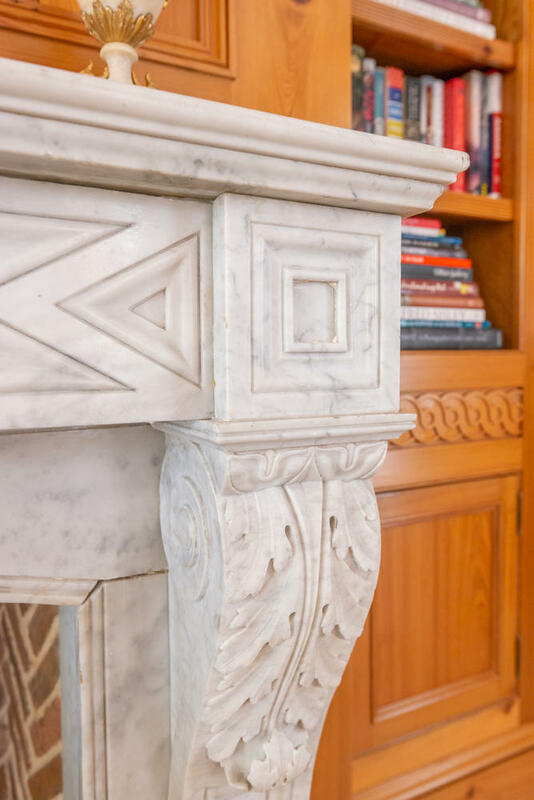 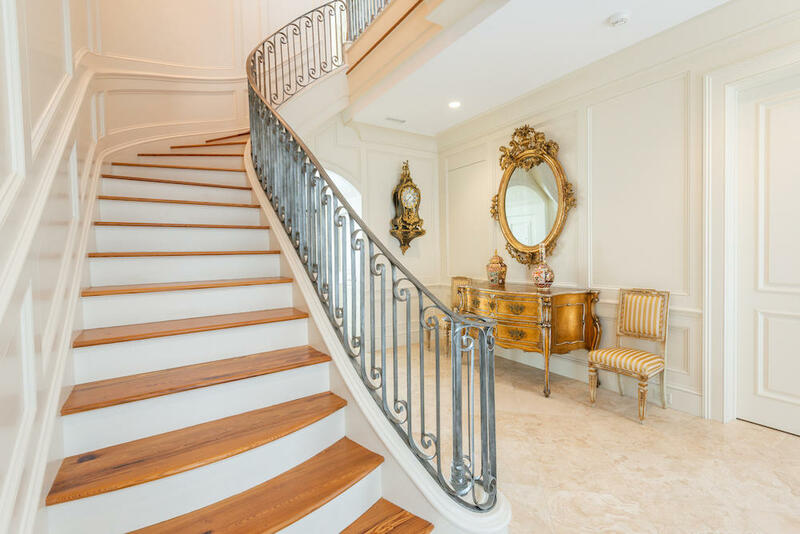 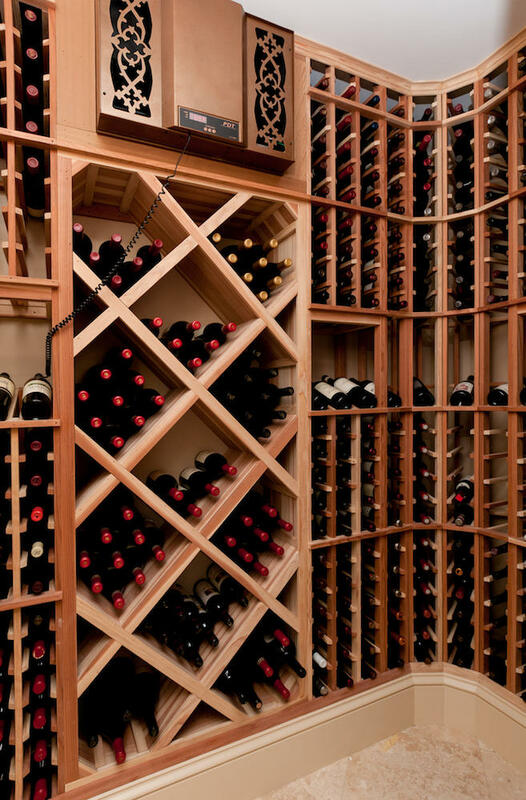 A formal entryway and grand staircase are the focal points upon entering the estate, while a gourmet kitchen, formal dining room, living room, climate-controlled wine room, library and powder room complete the first floor. 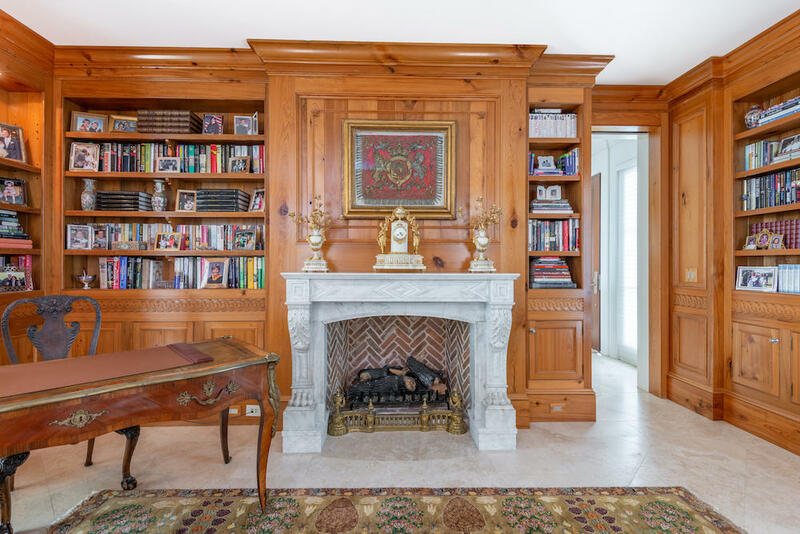 The library, with a gas log fireplace and hand detailed cypress paneling, provides the ultimate refuge for relaxation and comfort. 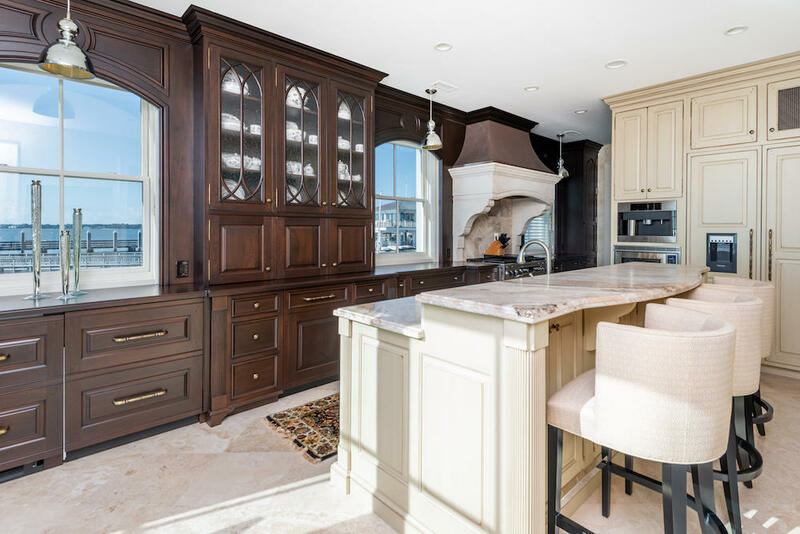 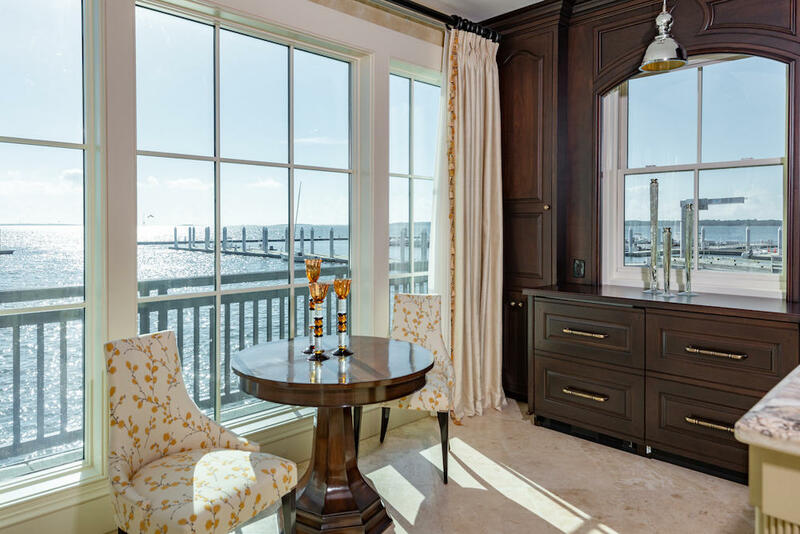 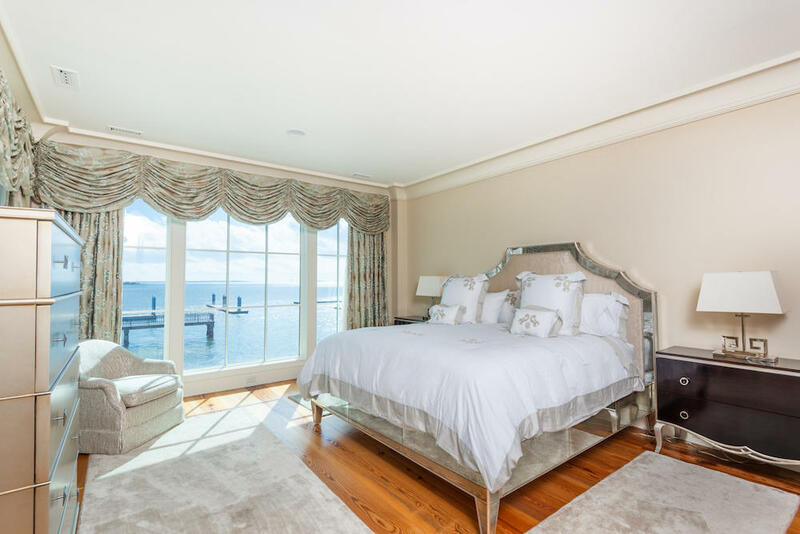 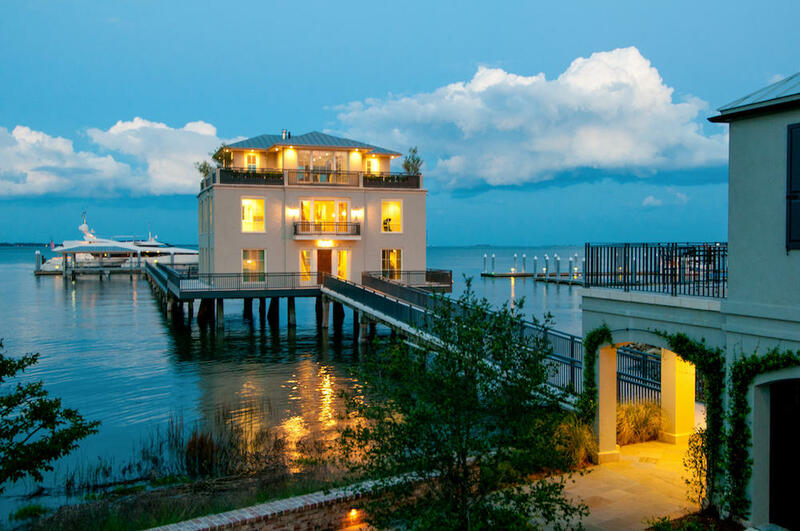 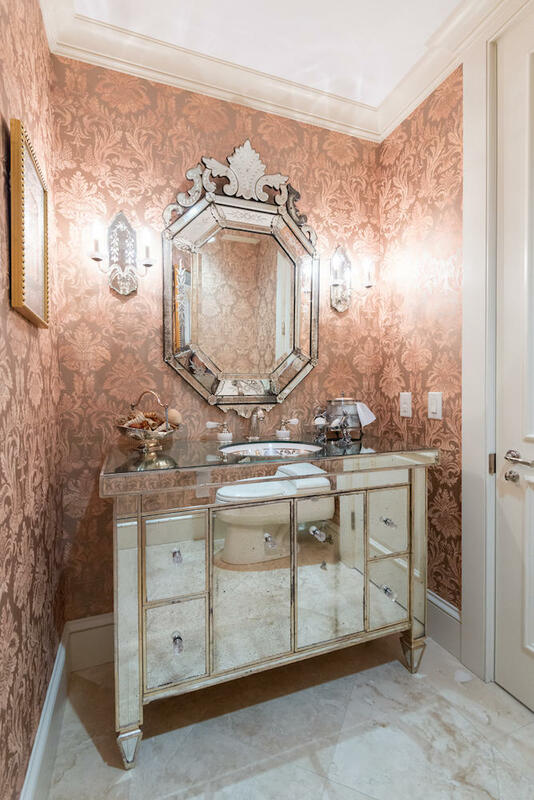 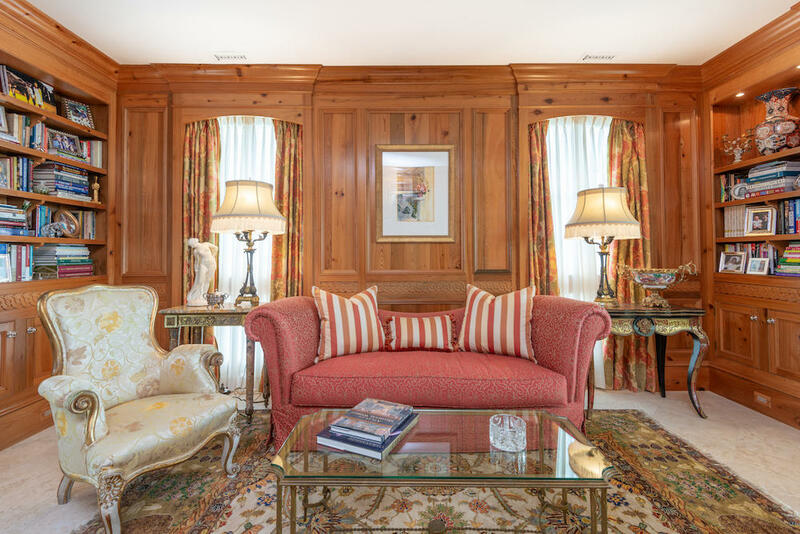 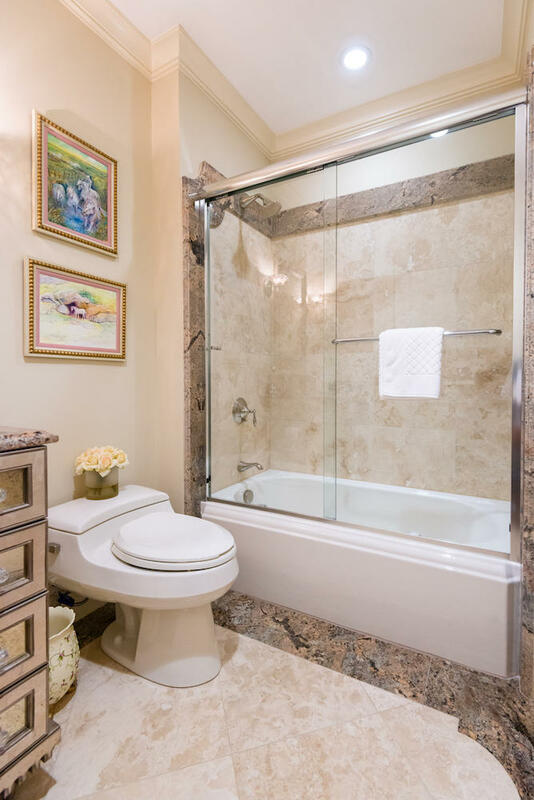 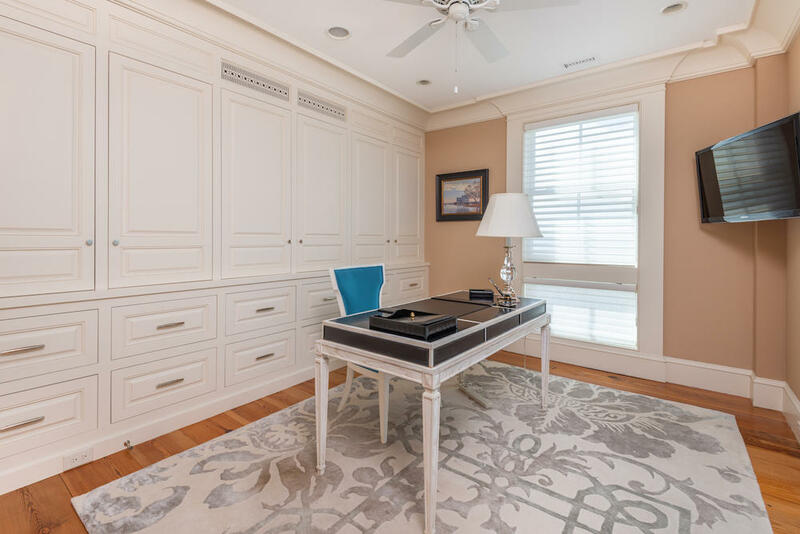 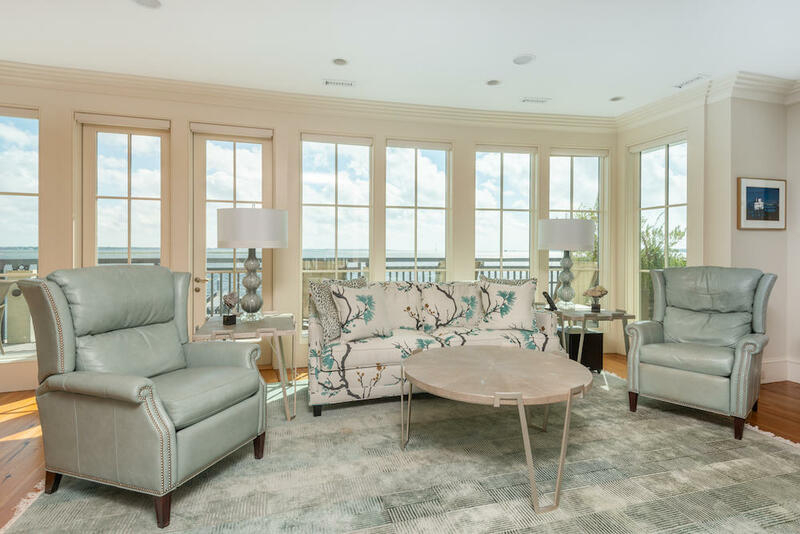 The home's second level encompasses the master suite and three additional bedrooms with en-suite baths, each room providing breathtaking waterfront views. 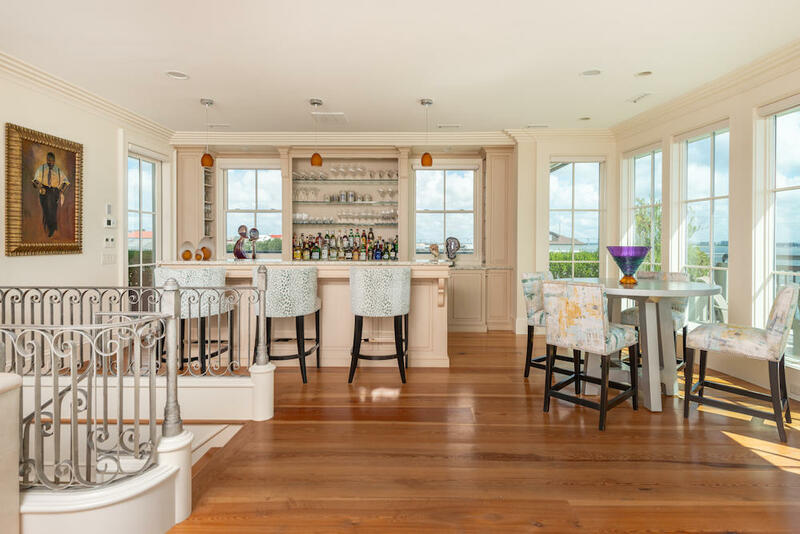 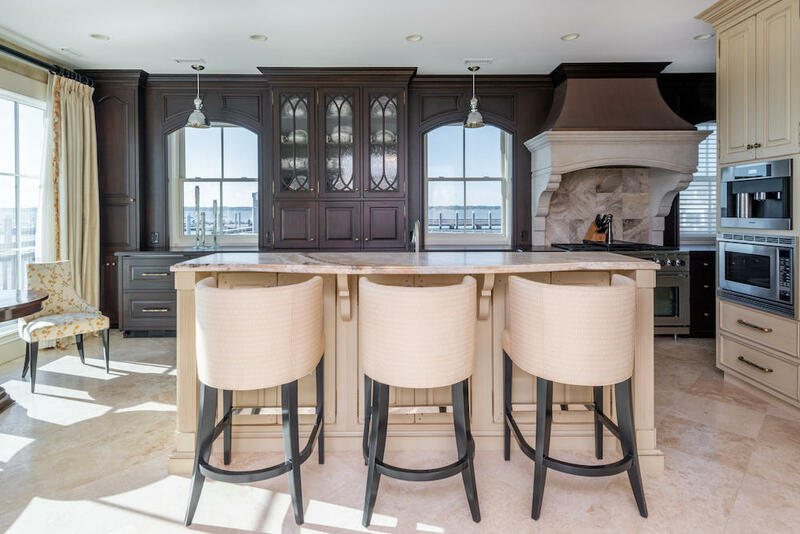 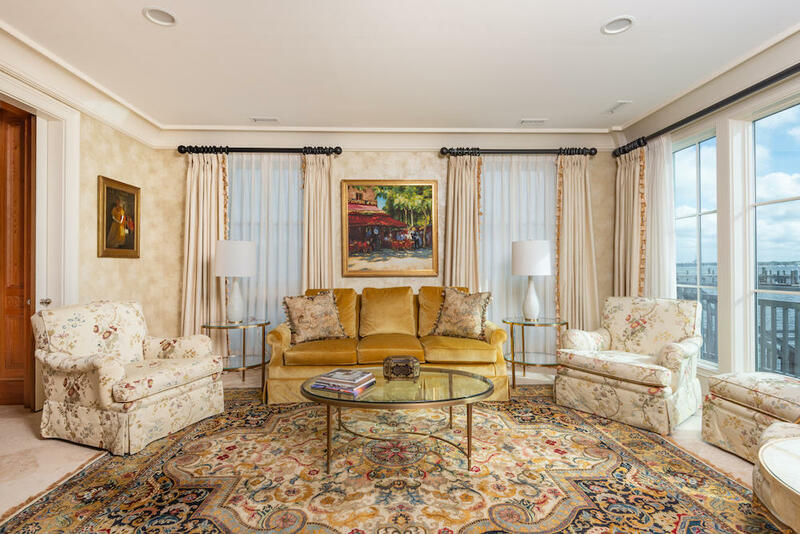 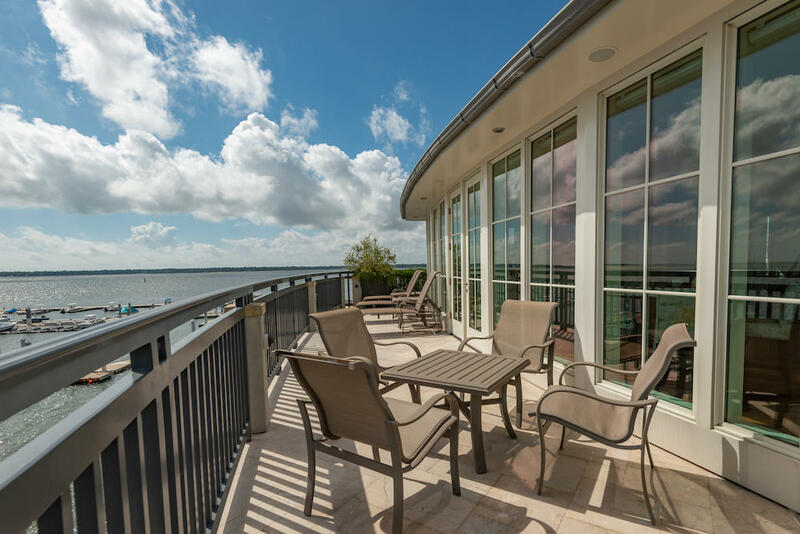 Completing the main home, the third level entertaining room and bar area provide the ideal setting for grand gatherings or sailboat watching from the adjoining terrace. 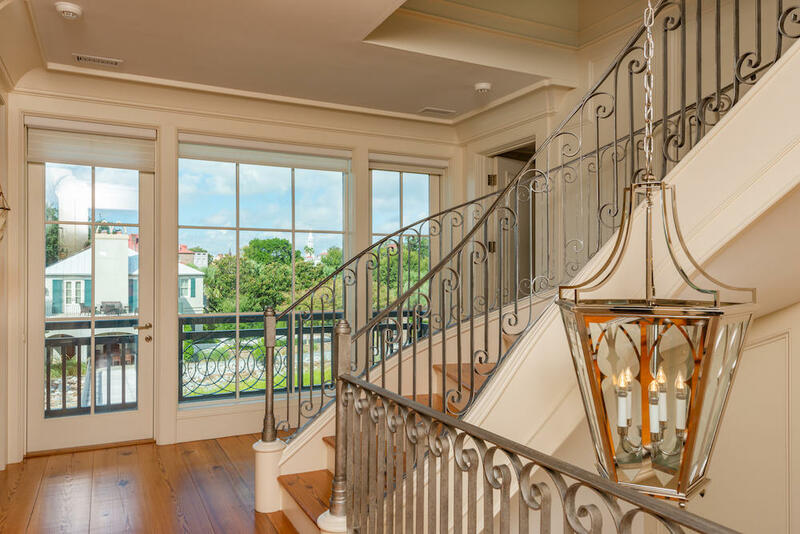 The guest residence above the three-car garage is a spacious 1,234 square feet featuring antique chestnut floors throughout. 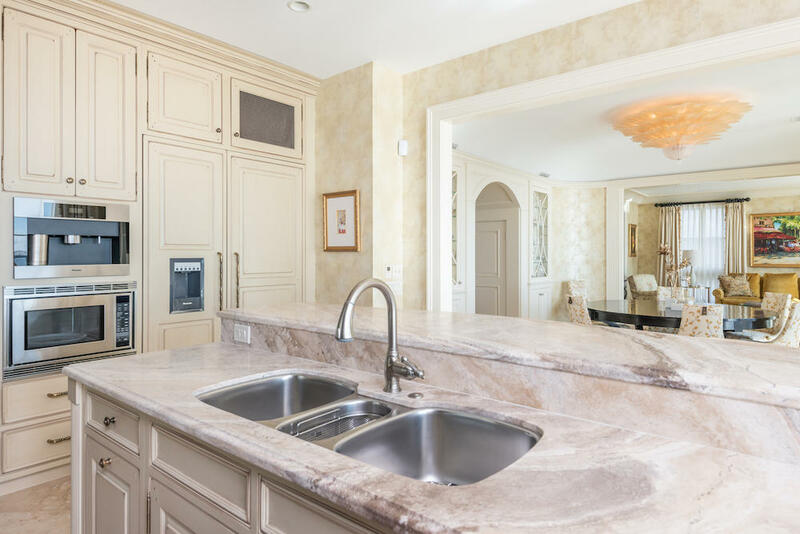 The floor plan includes an open kitchen, living and dining area as well as two bedrooms with en-suite baths, laundry facility and private terrace. 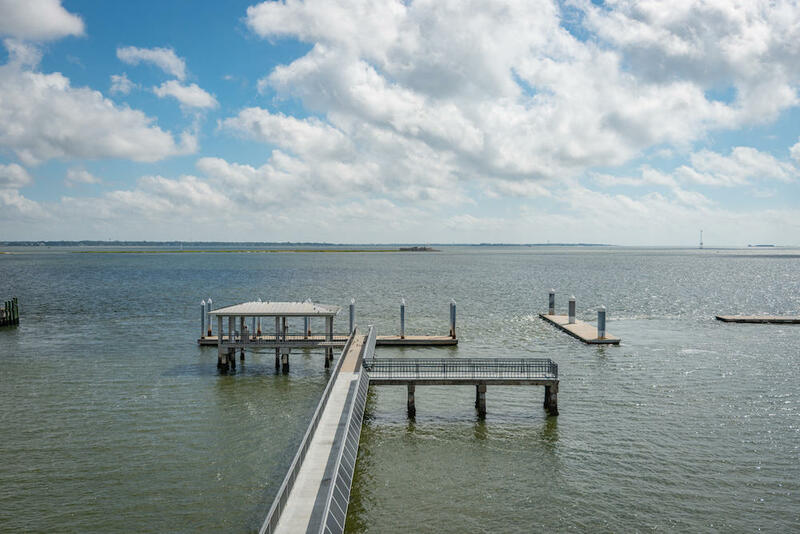 The grounds total 2.7 acres with landscaping using regional/local materials and storm water managed on site with tanks supply all water for irrigation and landscaping. 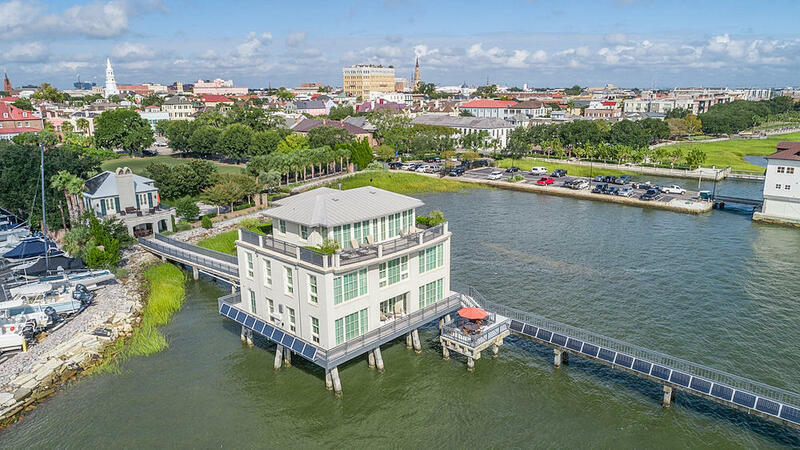 This is the first project in the historic district to use solar roof panels. 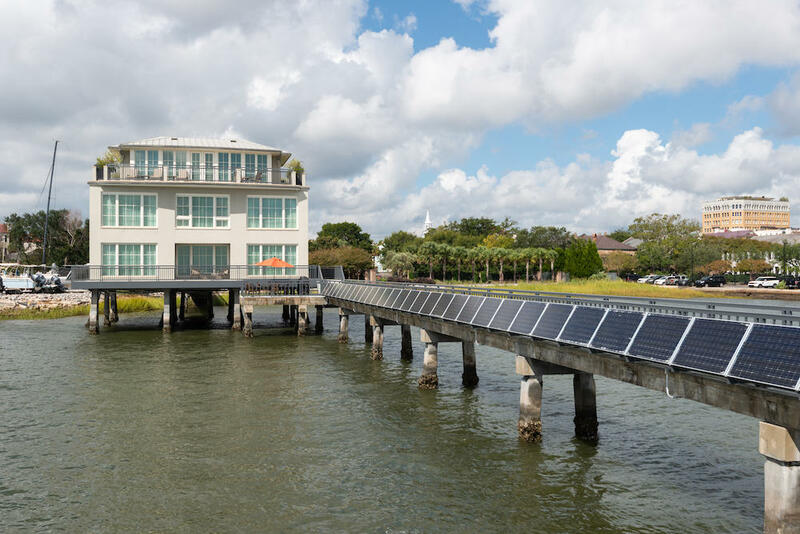 Double sided solar panels are integrated into the railing to take advantage of ambient and reflected light from the white tabby walkway and water below. 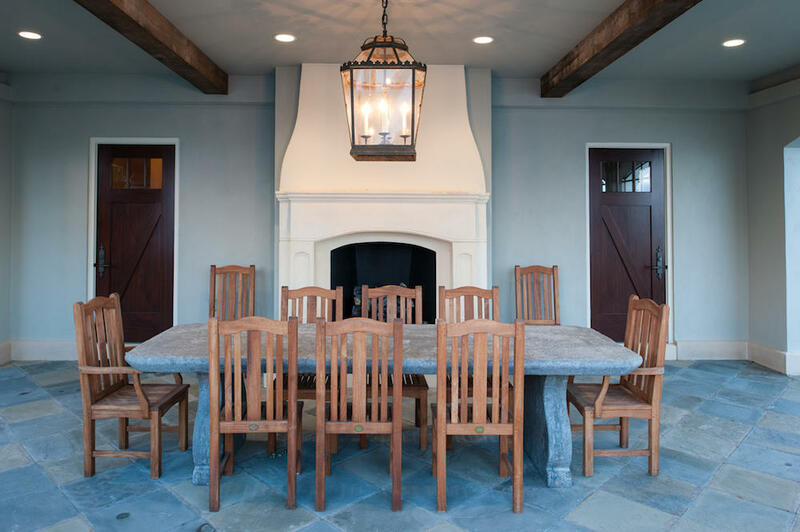 The main house was awarded LEED Gold and the guest house LEED Platinum designation. 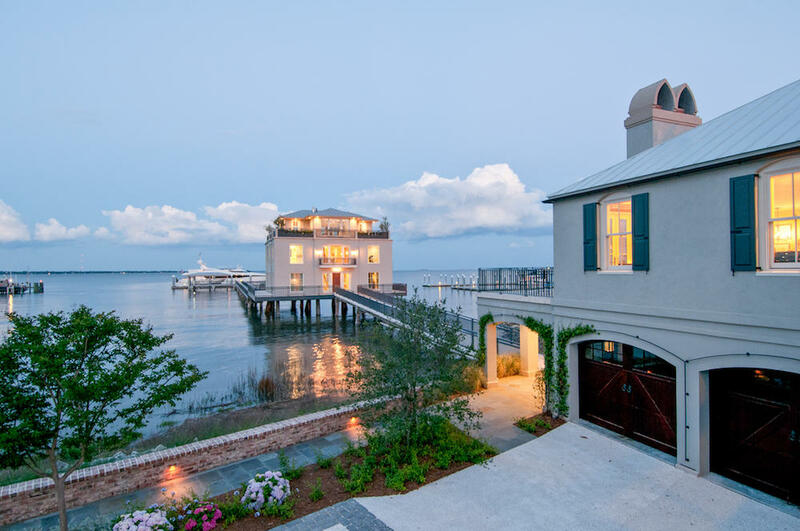 This masterfully designed property is truly incomparable.